The true story of a spirited young woman whose brilliant mind is caught in the grip of mental illness, known as bipolar disorder. In constant flux between transient euphoria and utter despair, Camille attempts to decode her mind and treat her illness. 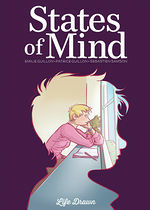 However, she discovers that the will of the patient is not always enough to cure the ills of the mind, and the only way she can find a semblance of peace is when surrounded and supported…if not understood. It is this compassion which allows her to stay anchored in life, a buoy ebbing and flowing with the ocean. 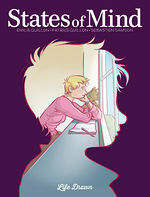 STATES OF MIND's strength is in its unabashed and unapologetic account of the destruction and desolation that the disorder causes, but more importantly, the beautiful humanity and compassion that blossom in its wake.